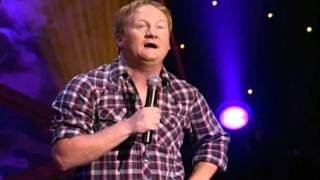 Jon Reep is a nationally touring stand-up comedian and actor. His authentic point of view is a result of being born and raised in rural Hickory, NC. He lived there until he moved to Raleigh, NC in 1992 to attend North Carolina State University. Shortly thereafter he began performing stand-up comedy at Goodnights comedy club. He graduated from NCSU in 1997 with a Bachelor of Arts degree in Theater, Mass Communication, and Public & Personal communication. Upon graduating, Jon was employed at UNC-TV where he became the assistant director of such TV shows as “North Carolina Now” & “Legislative Week in Review”, while at night simultaneously honing his skills as a stand-up comedian. In 1998 Jon left UNC-TV to pursue a full-time comedy career. He traveled all over America performing in comedy clubs and colleges in every state in the country. In 2000, Jon was invited to perform at the Montreal Just for Laughs festival, and shortly thereafter moved to Los Angeles, CA to further is career as a stand-up comedian and actor. As an actor Jon has played the pot smoking farmer “Raymus” from the movie “Harold and Kumar escape from Guantanamo Bay”, and the dim witted cop Gerald Bob from the ABC Sitcom “Rodney”. He played a goodwill worker in Disney Channels “Good Luck Charlie” and was the HEMI guy in Dodge Truck’s popular ad campaign. Most recently he can be seen as Jed Forney in “Eastbound and Down” and was the host of SPEED TV’s, “R U Faster than a Redneck.” He can next be seen in the Steven Quale film “Into the Storm” starring Richard Armitage and Matt Walsh. As a comedian he was the Winner of NBC’s “Last Comic Standing” season 5. He’s been on Comedy Central’s “Premium Blend”, the half-hour special “Comedy Central Presents: Jon Reep”, & his own special “Jon Reep: Metro Jethro”. He’s been on TBS’s “Pit Stop Comedy”, NBC’s “Late Friday” or CMT’s “Comedy Club” & “Comedy stage” among others.